Chanting Click Beetle at Northline Elementary - A.L.L. insights, news, video and announcements from around the country's school districts. A. L. L. helps elementary principals deepen their understanding around effective writing instruction at Northline Elementary School in Houston. 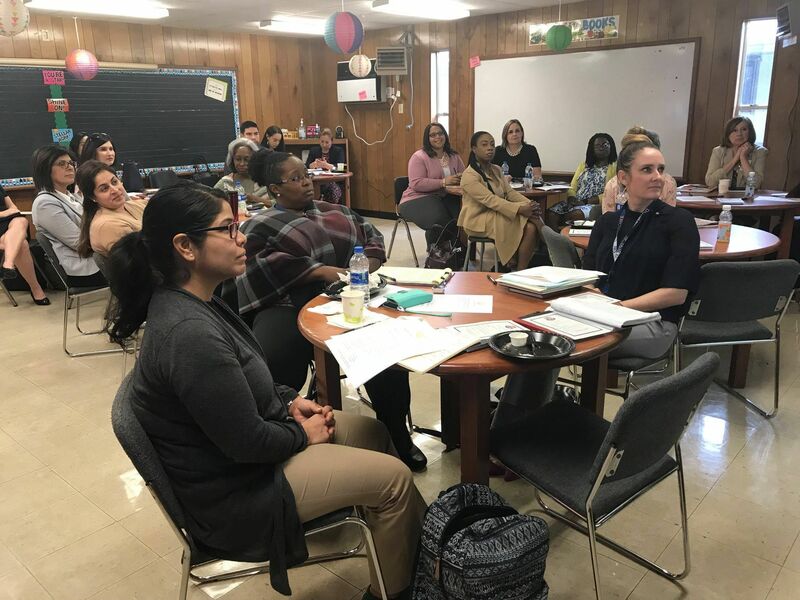 Accelerated Literacy Learning (A. L. L.) recently provided an opportunity for elementary principals to deepen their understanding around effective writing instruction at Northline Elementary School in Houston. Susan Radley Brown, A.L.L. Director, modeled a Poetry lesson for 3rd graders – they got into the poem, Click Beetle. As they chanted to the beat of Click Beetle, they began to understand the concept of line breaks that establish the rhythm and form of a poem.